Boost your Mac to peak performance. MacBooster optimizes your Mac hard disk, memory and manage your startup items effectively. Speed up your Mac like new. 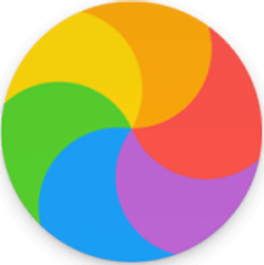 After using your Mac for a while, you may find that your Macbook takes longer to start up, or gets the annoying beachball frequently. Yes, your Mac is getting and running slowly. In order to have a better performance, published by IObit, world's top system utility and security software provider since 2004, MacBooster optimizes your Mac in the ways below to speed up your Mac. Your Mac will be dragged slowly if your Mac disk permission has been changed no matter by yourself or the third party apps. And what’s more, the cache produced by the third party apps, especially the iTunes and the media app will occupy large space of your disk. MacBooster can fix the disk permission issues and optimize your disk storage to boost your Mac to the peak performance. Somehow, your Mac is getting slow. After clicking on the app, you have to wait for a while before it pops up. The Inactive memory is used by recent activity and apps. Mac keeps it reserved in case you want to open the program again. High-consumption RAM apps are the culprits. MacBooster helps you to optimize or even close those apps taking up the memory and free up inactive memory for a faster running Mac. Many startup items from third-party apps will run automatically at once after you boot your Mac. This will definitely drag your Mac slow. These login startup items are taking up and even scrambling for resource from your Mac RAM and CPU. MacBooster analyzes your MacOS and optimizes these startup items to speed up your Mac like new. The MacBooster Mini, which is standing by at the menu bar, offers more than what you can imagine. It shows you the usage of the memory and the status of network and firewall. At the same time, it offers you one click to clean memory, Cache, trash and optimize DNS. With the Lightning Booster mode, it can provide you with a faster online surfing experience.